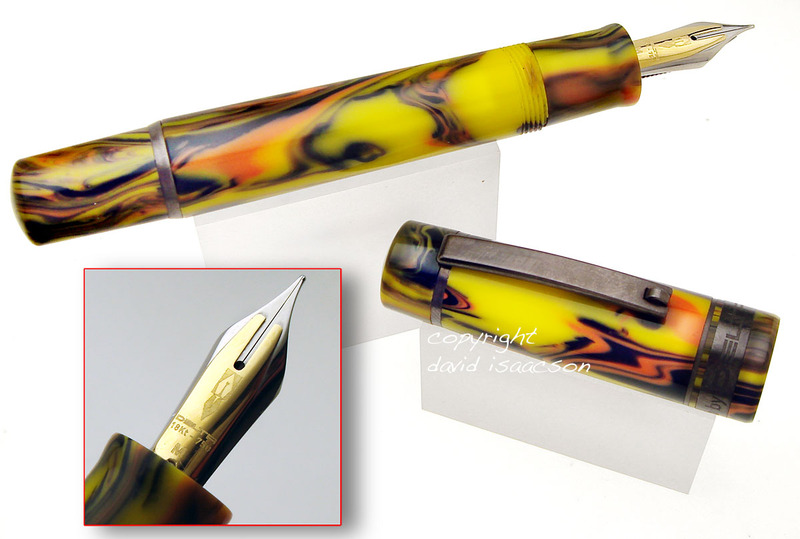 COMMENTS: A popular recent pen from Italy, the Wallstreet somewhat channels the 1930s Parker Vacumatic, via its laminated transparent/pearlescent color . Fine point. Clean condition. 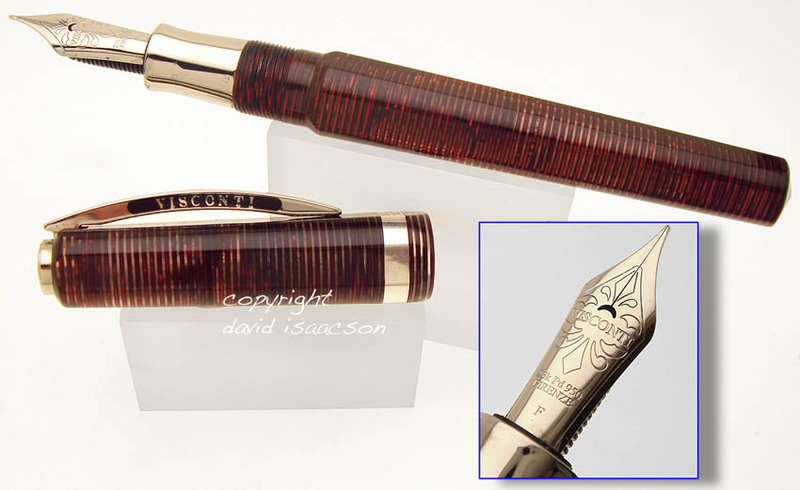 COMMENTS: Delta (the Collosseum) was the first modern high quality fountain pen I owned, purchased back in 1998. Always have had a soft spot for that label. As with Omas, it appears that Delta recently closed. Time will tell if the name pulls a Phoenix and rises from the ashes. Tech and Web is part of the Journal cluster. This is a fat pen, offering variegated yellow, orange and black that somewhat channels vintage pens such as the Conklin "Halloween" from the late 1920s.